An Iron Age sword was discovered by an 8-year-old girl who was wading in a lake this summer in southern Sweden, in what local authorities called "a spectacular find." Further searching in the lake turned up a piece of metal jewelry from A.D. 300-400. 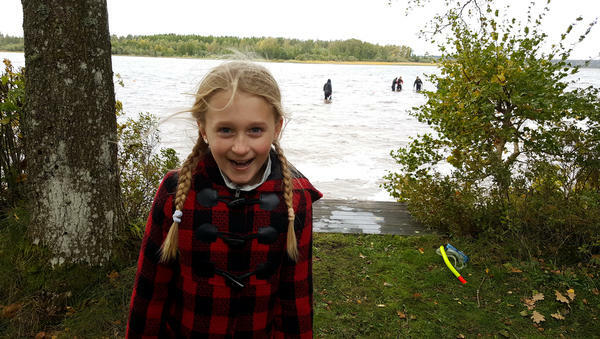 Saga Vanecek found the sword while wading in Sweden's Lake Vidostern. A team uses metal detectors to search the lake where Saga made her discovery. "I'm not sure you should be touching it anymore," he replied. "It looks fragile." Saga and her father took the sword to authorities and found that it was very old indeed. According to the museum, the sword is about 33 inches long and "exceptionally well-preserved." It even has a sheath made of wood and leather. 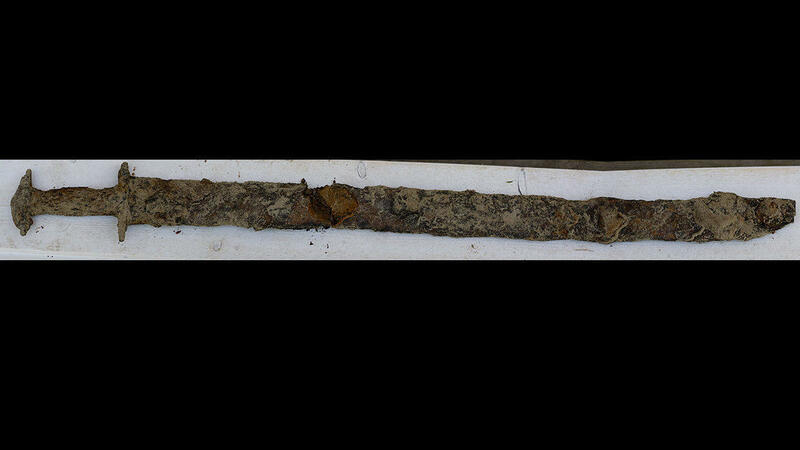 Further searching in the lake yielded a piece of metal jewelry from A.D. 300-400. 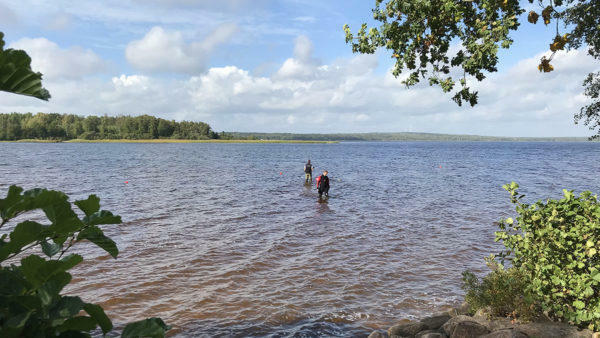 In the coming days, a team including the Jonkopings County Museum, the county's administrative board and members of the Swedish Metal Searchers Association will conduct additional searches of the area. 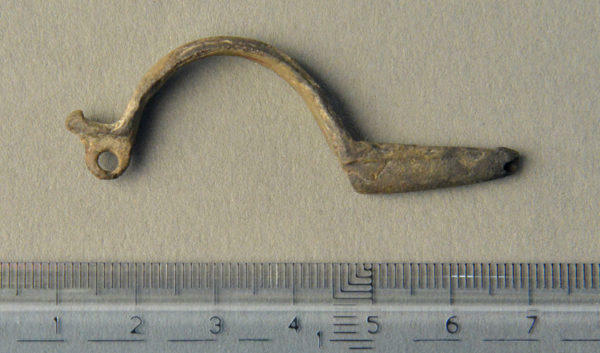 They hope to find other items that could offer clues about the sword and the jewelry. Conservators are examining the items, and it will be at least a year before the sword will be exhibited, Nordstrom told Swedish news site The Local. "Why it has come to be there, we don't know," he told the site. "But perhaps it's a place of sacrifice. At first we thought it could be graves situated nearby the lake, but we don't think that anymore." Saga moved with her family to Sweden just last year, The Local reports. She grew up in Minneapolis, and her father is from Minnesota. And what does Saga think of her ancient discovery? "That it was pretty cool and that it was exciting," she told Radio Sweden. "It's not that common that you find a sword that is 1,500 years old!" NPR's Liana Simstrom contributed to this report.